There is absolutely no end to KL Rahul batting woes. He is proving the team-management wrong with every passing game. The right-hander is having a tough time with the bat at the crease and might find himself out-of-favour soon. Before coming to Australia, Rahul had played seven overseas Tests this year and crossed fifty once — 149 in the final innings of the final match in England. He had a poor outing in the home series against Windies too, scoring 0, 4 and 33 not out. Rahul hasn’t made a case for continuous selection. He is probably fortunate that the others openers are not fit or are out-of-form. But if he continues to play like this, it is just a matter of time before he finds himself out of the team. His woeful form continued in the ongoing Test against Australia too. In the first innings of the Perth Test, he was clean bowled by Josh Hazlewood for just 2. In the second innings, things did not change much apart from his score and the bowler. Rahul was bowled for a duck by Mitchell Starc as pressure has further mounted on him. There was a hnt of inswing for Starc from a length and Rahul was in two minds – whether to play or leave. He eventually decided to leave the ball but was a bit late to withdraw the bat. In the meantime, the ball hit the bat before being deflected onto the stumps. Meanwhile, India will have to chase down 287 to go two nil up in the series. 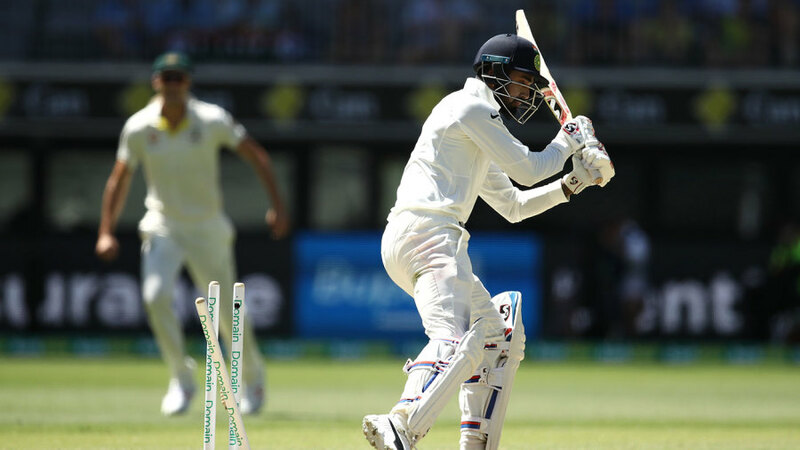 Riding on Mohammed Shami’s six-wicket haul, India bowled out Australia for 243 after the hosts started the second session on a promising 190 for 4. Madhya Pradesh Government Announce Cash Prize For Mithali Raj & Co.